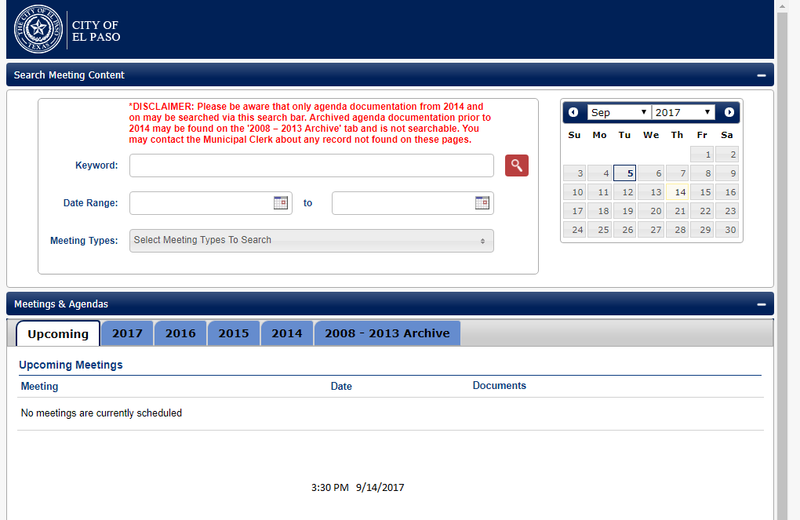 City council agendas and backup materials are supposed to be posted on the city website by 12 Noon on the Thursday. That leaves very little time for us common citizens to call our city representative to discuss concerns we might have with agenda topics. The city is closed on Friday. Council members attend legislative review (pre council) meetings on Mondays. Regular city council meetings are on Tuesday mornings. There was a special city council meeting Monday and a regular one on this morning. This entry was posted on Tuesday, September 19th, 2017 at 5:00 AM and is filed under City government. You can follow any responses to this entry through the RSS 2.0 feed. You can leave a response, or trackback from your own site. If the agenda is not posted for the public either on line on the doors of City Hall or in a public place how can they discuss the items on the agenda ? Did the law change? The lack of RESPONSIBILITY, REPRESENTATION by this bunch of clowns is amazing. With their “Hide, lie, deny” attitude towards US, we can only guess what THEY are up to NOW, what THEY are going to DO to US. Last election, I remember that Dee Margo got elected Mayor. Other than that, not sure what HE DOES. Not sure who got elected to REPRESENT the North East. Haven’t heard anything from him since the election. Apparently, they ALL are only “Representing” THEMSELVES and whatever THEY can get, TAKE from US. No posted agenda. Live feed of the meeting is down. The more the City spends on IT and “communications,” the worse it gets. Makes you wonder.